Six indoor, climate controlled, courts are available for your use, seven days a week. We offer a full service pro shop providing products from Wilson, Gamma and Prince. We provide fast service on all your stringing needs, using the finest quality material and workmanship. 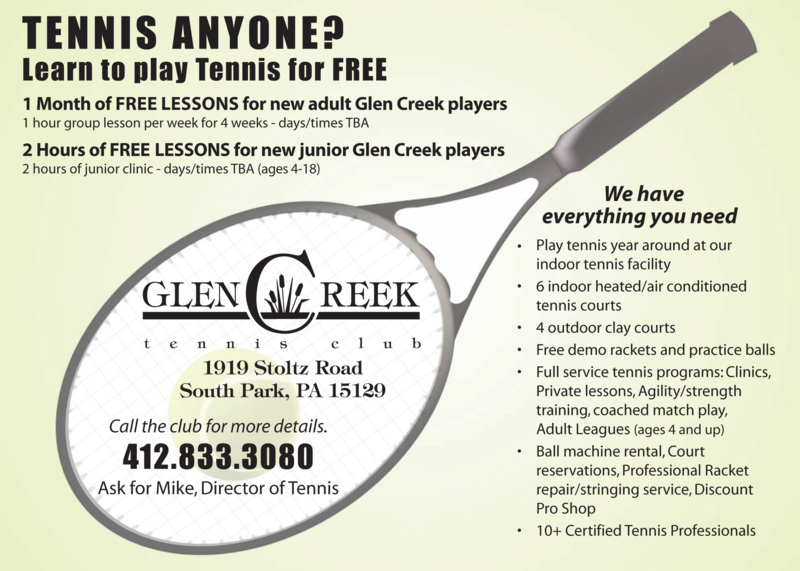 Glen Creek Tennis Club pros provide exciting programming for the beginner through advanced players and players of all ages. Glen Creek Tennis Club strives to meet every member's needs and our pros are focused on helping you achieve your individual goals. We offer a top notch junior program for tiny tots all the way through advanced tournament players. Our warm, caring atmosphere makes it easy to learn the sport of a lifetime and enjoy improving your tennis skills. Come join our Glen Creek family and get in the game!